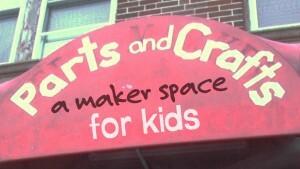 Parts & Crafts (P&C) offers two FREE workshops for parents, educators, and other grownups to help people organize youth teams for the upcoming Community Sculpture Race. Workshops are Saturday, March 12, 1-3 PM and Tuesday, March 15, 5:30-7 PM. PSR Chief Engineer Jeff Del Papa will share easy-peasy techniques for putting sculptures on wheels! 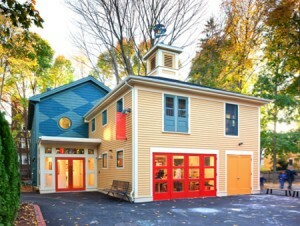 P&C is located at 577 Somerville Ave. in Somerville. Registration is not require. More information here. Explore and experience the exciting process of designing and constructing kinetic sculptures and thinking how to bring motion into 3D design. In this four-day workshop, young artists will design and build an animal from one of Aesop’s Fables using simple hand tools with raw and recycled materials.Youth will work collaboratively to bring their ideas to 3D form in this exciting opportunity with artist Mitch Ryerson. 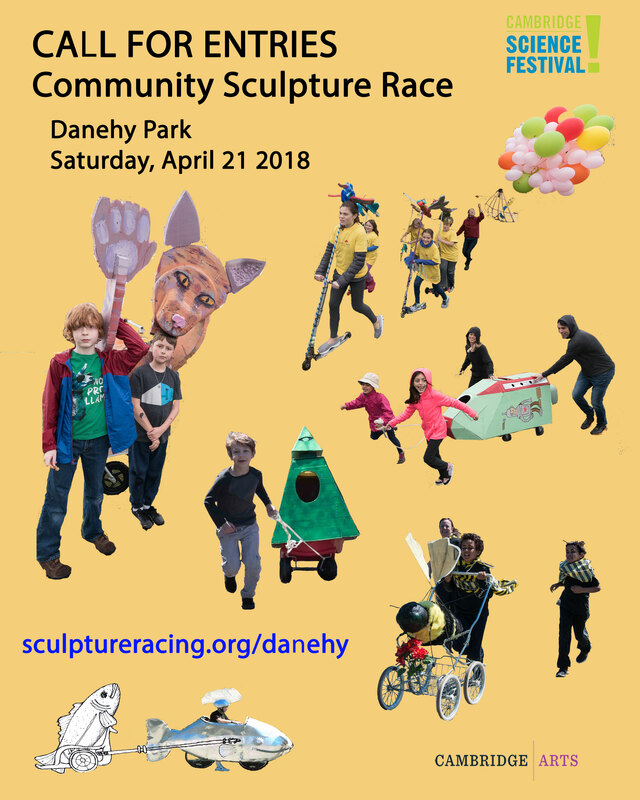 Project will culminate at the Community Sculpture Race in Danehy Park on Saturday, April 23. Students’ creations will be hitched together to pull a small chariot. The young artists alongside Ryerson will supply additional kinetic power to move the ensemble in this fun, family race event. Using rough and ready materials to create small kinetic sculptures that bounce, bob, spin, wiggle and wobble, this playful hands-on workshop will introduce makers to the various ways of bringing motion into 3-D design. Parents and their kids will work side by side to build simple mechanisms such as cams and levers and linkages. Please let us know if you’d like us to help provide consultation or teachers for your workshop, or for help promoting it.